When predominantly sectarian-soaked civil upheavals in Syria began erupting in 2011, a coalition of regional countries led by Qatar, Saudi Arabia and Turkey – bastions of free enquiry and cardinal preachers of human rights – decided to ensure that armed anti-government confrontations spiraled at an eye-popping pace. The trio was invariably galvanized by the world’s only superpower whose state department was conspiring, as far back as 2006, to destabilize the government in Damascus by playing on Sunni fears of Iranian and Shiite influence in their country. As an extension, and as the confrontations increasingly took and armed twist, the combined US/regional axis also strategized that curtailing Iranian influence in the country together with toppling Bashar al-Assad, would inevitably require severing the link between Damascus and Iran’s powerful Lebanese protégé Hezbollah. Today, nearly six years later and despite the sectarian needling of the Sunni population, decent into an intractable civil war and inclusion of the cross-border extremist Daesh (also known as the Islamic State, or ISIS) into the equation, the silver lining that was to detach Hezbollah from its once crumbling Syrian ally seems about as distant as ever. Since its earliest do-or-die involvement in the conflict back in 2013, Hezbollah has not only managed to stave off all imminent threats to the regimes viability in and around Damascus, but is has wrestled back, with deadly resort and sacrifice, almost the entire 1,000 square kilometer Qalamoun mountain range adjacent to the eastern Lebanese border. The control of the range, from where Sunni and Islamist rebels backed by regional powers regularly rocketed Hezbollah-affiliated civilian areas across the border as well as prepared deadly car-bombings killing dozens of people, are of great strategic value to the movement. They not only allow it to control access to all key security and supply routes to and from Lebanon, but also allow the Syrian government to connect their capital city to Homs and the Syrian coast and in doing so secure the eastern flank of the country from foreign-backed terrorist infiltration. They have also been actively involved in strategic operations in the north and south of the country, as well as the region bordering the Israeli-occupied Golan heights – probably with a view to utilizing it as a future front against its Israeli nemesis. Its special forces have actively carried out armed raids, drone strikes, day and night ambushes against a consortium of Sunni rebels and Daesh terrorists in addition to serving as strategic advisors both politically and militarily to the Syrian authorities in view of the larger strategies of the overall war plan. 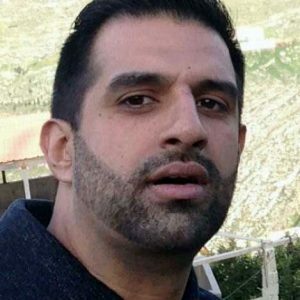 Hezbollah has been active in negotiating population and prisoner swaps, planning military assaults afar and even partaking in helicopter-borne operations – including the rescuing of the Russian fighter pilot shot down by Turkish F-16s over the north of the country. 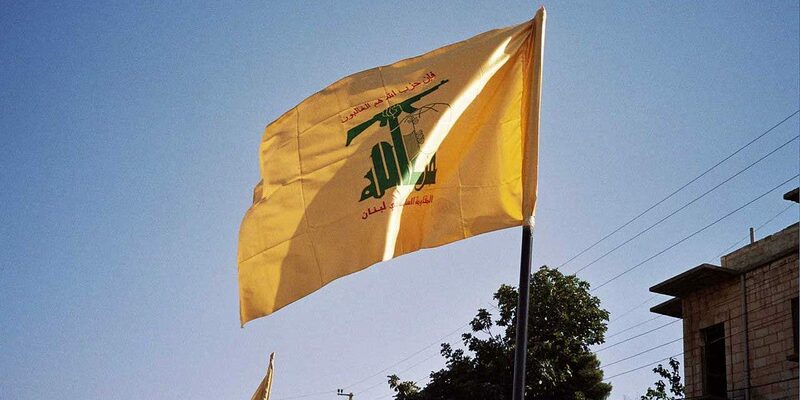 Yet even whist carrying this out, it has incredibly managed to strengthen its political and military position back in Lebanon where adversaries at home, detractors in the Persian Gulf and notables from the Arab League initially predicted something akin to the beginning of the end for Hezbollah’s regional popularity. They’ve almost eliminated the threat of further rocket and suicide attacks on constituency areas at home and ensured its presence next door has translated into a turning point for the Syrian government which, with additional air support from Russia, is now on a steady roll of capturing successive towns and positions across the country. In short, the movement has emerged from the quagmire of the conflict as aggressive, experienced and indispensible as ever. At the same time, the US/regional axis and its strategy for a post-Assad Syria along with dissipating Iranian and Hezbollah influence in the country, has long been in tatters. The ‘box of ills’ that was to afflict the Iran-Hezbollah-Syrian alliance with sorrow, death and destruction has proved disastrous as many of those they initially supported to fight the Syrian army now seem unable to even walk and chew gum simultaneously — never mind carry out missions with competency. The world has read about the millions funneled to create so-called strategic ‘Sunni fighting forces’, otherwise a hotchpotch of callously-murdering Sunni rebels, only to be informed that like those who’d rather go for the sinful chocolate cake over the virtuous fruit salad, many decided to abscond with their given resources almost from the onset. Then there was the free hand given to the regional axis, Saudi money and Turkish border-crossing freedom, which now appears to have resulted in Daesh and its affiliates being furnished with the room and resources to entrench its evil presence in the conflict. And that’s not to forget the much-publicized American resort to dropping crates of ammunition into a desert for its trained allies – without being able to affirmatively substantiate whom the eventual recipients that picked them up were. The US/regional axis always had a choice of where to stand in this conflict. As time is now telling, they clearly made the wrong one. But for Hezbollah, even if it was compelled to break initial pledges of remaining neutral in the Syrian conflict, the presence of its enemies in the arena and not to mention that nihilistic Daesh, was such a hard pillow to sleep with that it was tantamount to inserting itself even deeper. After all, they had diagnosed where events in Syria were leading before most. They had acquired a large set of intelligence about enemy conspiracies, each of which would bind the idea of events symptomatic to the creation of Daesh-like organizations, the possible antecedents and causes, developments and consequences – and ultimately the required interventions needed to mitigate their metastasis. Right from the beginning, the movement had publically pledged to bear ‘any sacrifice’ and face ‘any consequence’ for its involvement in Syria in order to defeat what they repeatedly described as a ‘conspiracy’ against both Syria and her allies. They have evidently stood the test of time.